WILD ORCHID ART GLASS VASE home decor, jewelry, decor, decorations, electronics, fountains, floor mats, art glass, vases, garden essentials, fireplace screens. 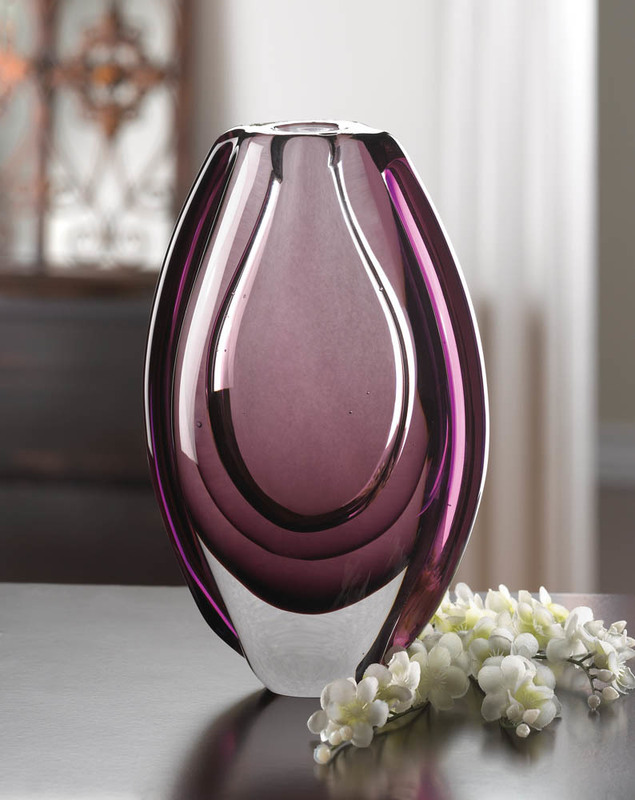 Stunning and unique, this gorgeous art glass vase mixes orchid hues and clear glass to create a home accent unlike any other. It will turn your mantel or tabletop into an art gallery! Material(s): GLASS. Weight 4.8 pounds. Dimensions 5.5" x 2.5" x 8.5".